1066: How Normans Conquered a Catholic Kingdom – with the Pope’s Blessing! On this day, English forces led by William the Conqueror, Duke of Normandy landed in England. Normandy was conquered by vikings in the 9th century, but they later acknowledged the French king as their ruler. Indeed, it was from the Normans that Normandy got its name (the “Nor-men” i.e. “North men” of Germanic origin). They intermingled with the local Frankish population and developed a specific Norman culture. William I was related to the last Anglo-Saxon king, Catholic ruler Edward the Confessor, who died childless in 1066. Edward was succeeded by Harold II Godwinson, the brother of Edward’s wife. At the time, the successor to the throne was not determined by the king, but by the Witenagemot, an assembly of the most powerful nobles in the kingdom. Edward’s lack of children meant that there was no clear candidate to the throne. Edward had also made many enemies in the kingdom, and they invited other candidates for the throne. There were two powerful rivals to the throne. First was the Norwegian King Harald III Hardrada, who based his claim on an earlier agreement between the Kings of Norway and England (Magnus I and Hartaknut, from 1040). The other powerful candidate was the above-mentioned William I, who shared a grandfather with Edward the Confessor, and who claimed the throne had been promised to him earlier. William even obtained the Pope’s permission to take the throne by force. 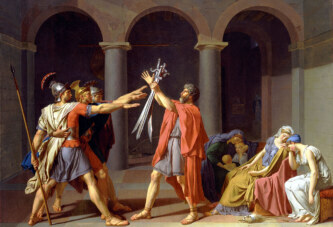 Pope Alexander II sent him an envoy bearing the papal flag. England was thus invaded by two kings of Viking descent. The first to land was Harald Hardrada, who was also supported by Harold’s brother, Tostig. They disembarked near York and won a battle at Fulford. However, Harold intercepted the Norwegians with his army, and defeated them at the Battle of Stamford Bridge on 25 September. Harald Hardrada was killed during the battle. Meanwhile, however, William I had disembarked at Pevensy Bay. He led his army towards Hastings, where he made camp and waited for Harold’s army to return (he was afraid of moving too far away from his fleet). William defeated and killed his rival Harold at the battle of Hastings, on 10 October. He proceeded to conquer all the English cities that still opposed him. He was crowned on Christmas Day 1066 as the first Norman King of England.